Without quality medical chair parts and components, your seating may leave something to be desired. Things like glides or casters can help you seamlessly move from one area of your workspace to another without having to take the time or energy to get up. 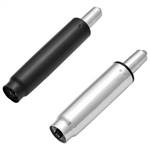 Varieties for both soft and hard floors are available, as well as reverse brake casters. 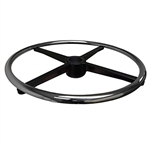 You can also purchase adjustable 18” foot rings in chrome or black nylon for increased comfort while you are seated. Find medical chair replacement parts here!